This new terpene infused El Patron Grandaddy Purple CBD E-Liquid is guaranteed to give both the throat hit and huge clouds you’ve been looking for. Made using only the highest-grade ingredients, this 60ml bottle of CBD oil uses a 50/50 ratio of PG/VG bases and 300mg of 100% organic cannibidiol additive with zero THC content. While this vape juice does not taste like marijuana, thanks to its 3% infusion of terpenes you can look forward to reliving that classic flavour profile of Grandaddy Purple, the famous indica cross-bred strain between Purple Urkle and Big Bud. This high-quality CBD e-juice is suitable for all e-cigarettes, with a taste and aroma bursting with intricate grape and berry flavours that’s perfect for vaping, and remember, all our e-liquids can be diluted if you prefer something a little lighter. 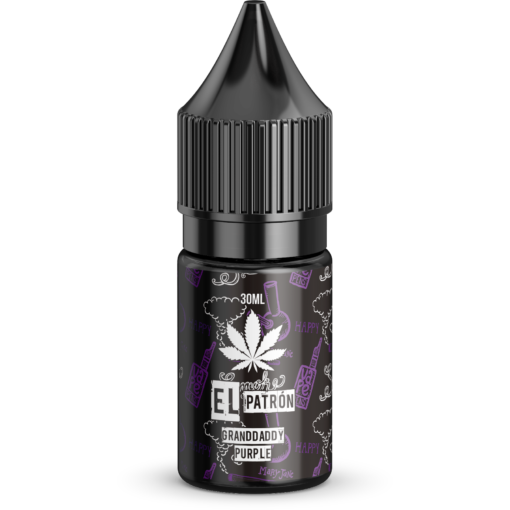 Looking for some new, exciting cannabidiol e-juice similar to our El Patron Grandaddy Purple CBD e-liquid? Why not have a look at our full range? The ISO clean rooms we use in the UK always guarantee high quality products. We only use pharmaceutical grade ingredients for all of our products. We are certified by the FDA and comply with all the rigorous tests and guidelines required for the sale of CBD products. We use a secure, encrypted payment gateway to keep your bank details safe. Our fast, efficient customer service is well-known – and we always respond promptly to all enquiries. This liquid has a really nice taste to it, will be back to get some more. Decent throat hit, the taste was also pretty good. Would recommend. 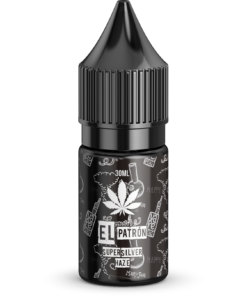 Really good cbd e-liquid – deffo worth checking out.